How to Rip A DVD With Forced Subtitle Tracks Preserved? If you've collected a pile of DVDs, you will find a way to get a movie onto your hard drive, and then you can do all kinds of other cool stuff with it: Transcode it into a different format so that it'll play on your tablet, smartphone or gaming console easily. Plus, when you get some DVD movies with foreign languages(like Star Wars, Avatar), you probably will struggle finding an acceptable way of capturing forced subtitles on DVD rips for better enjoyment. Forced subtitles are common on movies and only provide subtitles when the characters speak a foreign or alien language, or a sign, flag, or other text in a scene is not translated in the localization and dubbing process. Well, how to get DVD movies with forced subtitles only so that you can enjoy the movie without unnecessary characters on screen? Ripping DVD movies with some free tools such as Handbrake will not preserve the forced subtitles in your original movies. How to solve the problem? Fortunately, there are some DVD ripping tools on the market developing this beneficial function. If you're confused about choosing a suitable one, I recommend you try EaseFab LosslessCopy, which is a splendid application that can comprehensively rip DVD to various formats with subtitle track well reserved. This program enables you to choose one of your favorite subtitle tracks for your movie, then check the "Forced Subtitle" options. And the "Forced Subtitles" will only appear when the actors speak a different language from the subtitle tracks that you have specified in your movies. Ripping DVD with forced subtitles with LosslessCopy is simple as ABC. After downloading, follow the wizard to install and run the program. Then follow the steps below to convert DVD with forced subtitle tracks preserved in a few clicks! The below guide takes LosslessCopy for Windows (Windows 10 compatible) screenshots for example. How to Rip DVD Movies with Forced Subtitle Tracks Preserved? After you open EaseFab LosslessCopy, click Load Disc button to add the DVD files you want to rip. On the software main interface, there is a viewing window provided for you to preview the DVD files to ensure the files are what you want to rip. You can also take snapshots of the DVD movies when previewing them. Click Format bar and select the format you want from the drop-down list. Just below Format is Output, here you can browse your computer for a better destination folder for LosslessCopy to save your converted movies. As you see, all regular video and audio formats like MP4, MOV, MKV, WMV, AVI, FLV, MP3, WMA, WAV, M4A, etc. 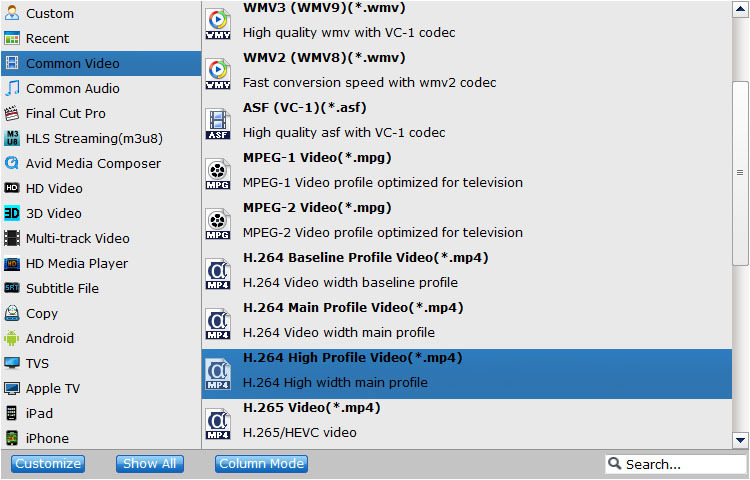 and multi-track video like MKV, MP4, MOV & AVI are provided. After all the settings is finished, press the right-bottom "Convert" button to start to convert DVD with forced subtitles.